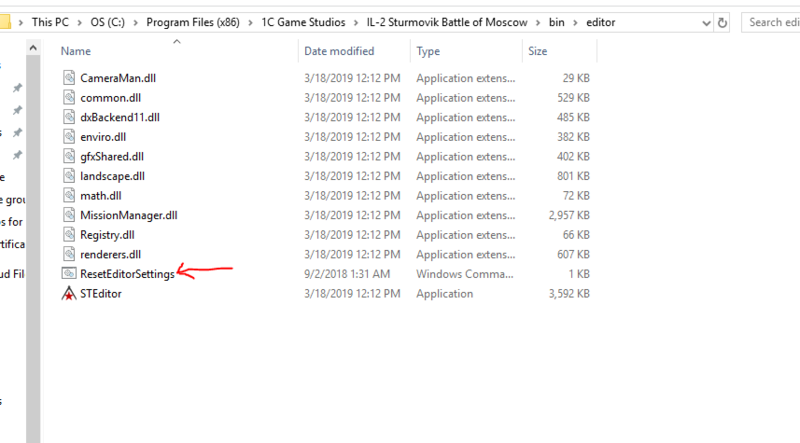 'Mission Editor has stopped working' when I try to load the landscape presets for the new Prokhorovka map. Other maps open fine. Anyone else getting this, or any suggestions? Just tested, its okay for me. I can load the map in the ME normally, I dont own it though. 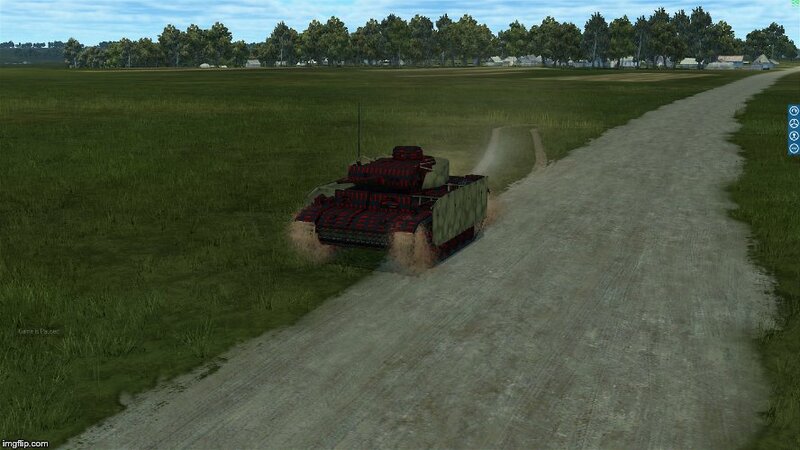 Would like to know how to choose the extra armour option on the new Panzer MKIII for AI if anyone knows. Absolutely no problem. Loading takes time, as well as loading the templates but after that its all fine. Well, I updated my backup copy of BoX and was able to open the Prok map in that; made a mission, saved it and got it to open in my 'game' copy, so at least I have got the map open. It is still touch and go whether it doesn't crash again though. Yes, Prok is a more 'PC-heavy' map compared to what's gone before but it's a hell of a lot smaller than the others and I have no problem with them. Something in my regular copy is slowing the Prok map down; it really sets the fans off and I can hear the HDD thinking aloud! I don't have any mods turned on btw. Could it be graphics -related? Before TC there were 2 versions of some tanks. One is player controlled (marked with an underscore I think) and the other is a AI tank. Maybe its this time alike? Note the 'for the new tanks.' in my post. For the life of me I do not understand what that means. I have put all the new tanks into missions as AI units. There are no such AI controlled versions available for the new m4a2, pziii-m or the Tiger pzvi-h1. 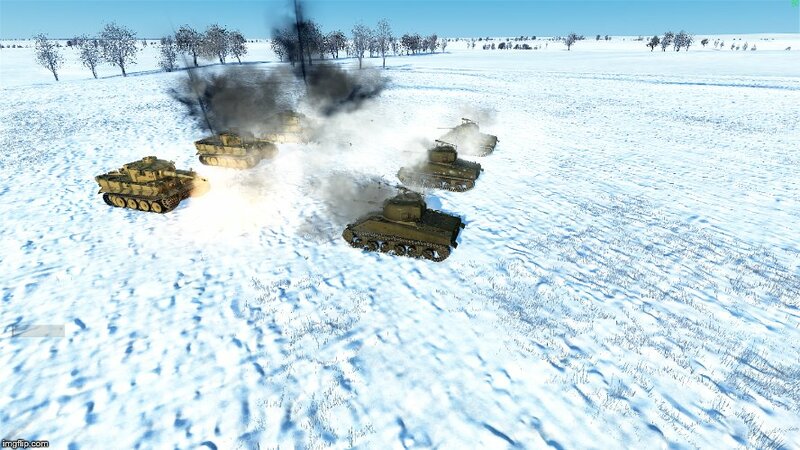 One cannot create a mass of Tigers for the player to take on with the player Kv1s. The current Tiger is Player only.  Also, inside the editor -> try unchecking this guy (see image) if it's checked. 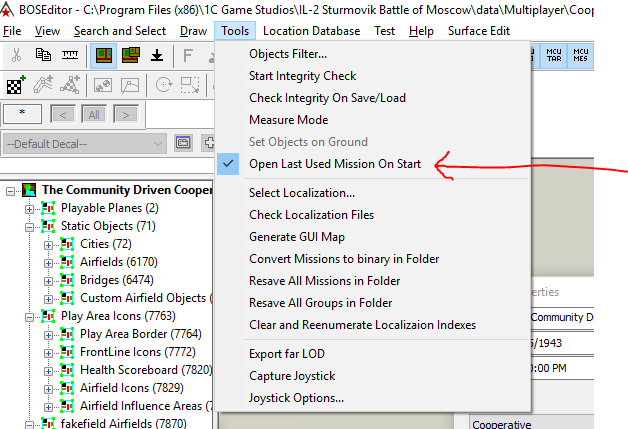 It'll load a blank mission instead of the last mission you used; when loading the editor. That's cracked it! Never realised the command was there. Now it opens a treat, and not too slow either. Thanks a million, much appreciated. Cheers. I don't mean to be difficult, but I'm still not catching this. 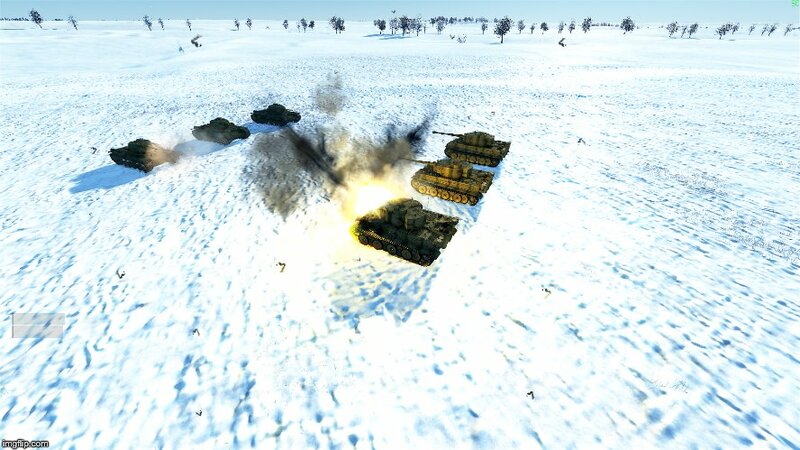 Below is three AI KV-1s against 3 AI Tigers, and they're going at it. And I can make either kind of tank a player vehicle and join in. Are you able to do that with the M4A2? That surprises me. You may be correct. I'll have to do some testing. If we can, that's great. That surprises me. But can you have a moving column of Tigers on a designated route of waypoints? One waypoint, yes. I do it all the time. I have trouble figuring out how to make two waypoints work with anything. I'm not very accomplished with the _____________. Well, you may be correct. I'll try to change one of my missions to test this out. If you are correct, that's great. Pretty cool is the guy who can barely turn on the ______________ without having a mental breakdown is showing the pros a new trick. Thanks Canada One. Now it seems there may be hope for some new missions after all. Out of the mouth of babes ….. comes childlike wisdom. In the modifications list. When you " set up " you tank. Click modifications and it's in the list. I didn't see that in the list of options for AI tanks in the ________________. I'll look again. I'm sorry. I thought you mean in game. Found it, it's in the weapons mods in advanced properties. But it seems I got the stoner crew along with the armour. The odd skin seems to be a momentary bug. The mission plays but it crashes if I try to edit it. Tried the armour add on in a test mission and it was fine, no stoner skin.